It seems that North London are slowly waking up to the fact that petrol and diesel cars will cease production in 2040 (with a plan to bring this forward to 2032). With this in mind London boroughs are making efforts to install new electric vehicle charging points. MEB (formerly a business operating in Haringey) and other local businesses/residents were consulted in February/March 2018 about the possible introduction of 75 Electric Vehicle Charging Points (EVCPs)/bays in 23 locations within Haringey. As part of the consultation, Haringey Council took on board Transport for London’s advice to provide 152 EVCPs to meet demand. The council’s Transport Strategy encourages the uptake of electric vehicles and it contributes to their commitment to improve air quality. 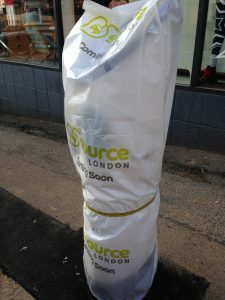 The new charging points are operated by Source London, accessible to Source London members and all others users on a “pay as you go” basis. These charging points should be operational before the end of December 2018. Since we are new to the Edmonton area, it isn’t entirely clear what Enfield Council’s plans are as yet regarding these electric vehicle charging points. However it is interesting to know that there was a key decision back in June 2017 to appoint a single provider to replace and manage existing electric vehicle charging points in the London Borough of Enfield, although we cannot find which company has been awarded the contract. If you are looking for a charging point in Edmonton then two can be found within the Tottenham Ikea premises operated by Ecotricity. For a wider look at charging points in Enfield, take a look at Zap Map (indeed any location in the UK), the majority of which are run by POLAR. If you have bought (or thinking about buying) an electric car, most of your charging will happen at home or at work. However, there will be times when you will need to use public charging networks. Below is a list of the major UK charging networks (most offering a mix of slow, fast and rapid charging options). MEB the Motor Centre service all types of car including electric vehicles. Call us on 020 8807 0668 to book in your next service or MOT. Small Business Saturday is coming up (Saturday 1st December). It’s important to support our small, local, independent businesses such as the local garage. MEB is one such garage and is a great place to meet all your car needs. Why are small garages better than large corporate dealerships? Read on to find out. It goes without saying that investing in the local economy is going to benefit the local community. 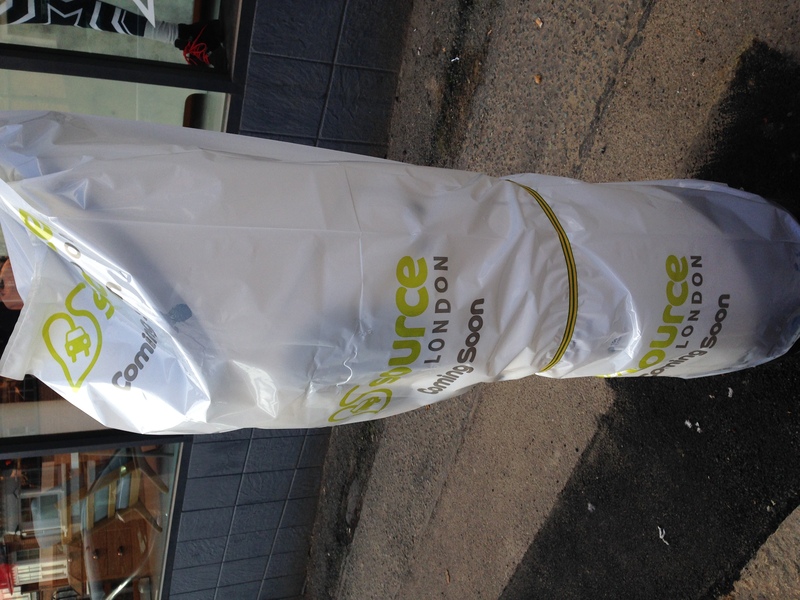 As money spent there is going to be recycled back into the local economy. For local businesses to do well they need a good reputation. Word of mouth is a great way to bring in new business. A good reputation is a great way to bring repeat business. So small independent garages such as MEB work constantly to ensure they reach the highest standards by employing highly skilled staff, ensuring accurate and up to date technical knowledge and ensuring good customer service. Your local garage should be just that – local. Easily accessible and convenient, especially if you have to leave your car for the day. At MEB the Motor Centre we are based in the heart of Edmonton in North London. We provide a pick up and drop off service and a free courtesy car if needed. Many motorists are not satisfied with their garage experiences and want a recognised garage code with minimum standards. Results of the Motor Codes survey can be read here http://www.motorcodes.co.uk/motorist/press-releases/gearing-up-for-garage-reform.html. At MEB the Motor Centre, we are not only a member of the Retail Motor Industry Federation (RMI) but have been added to their list of trusted garages. We have been awarded five stars for the last few years in the Good Garage Scheme. Furthermore, we are a Which Trusted Trader, giving consumers peace of mind that they are choosing a reputable trader. Love them or loathe them, speed bumps are part of our road system. But are they the best traffic calming method? Speed bumps are commonly used to enforce a low speed limit (around 25 mph). They might be good at keeping speed limits low but can cause problems such as traffic noise, damage to cars and slow down emergency vehicles. They also are a hassle to sports cars (plus others with low ground clearance), cyclists and motorbikes. One in five drivers have experienced car damage from speed bumps with an average repair bill of £144. Car drivers can claim for damage if the speed bump is larger than the legal requirement (no higher than 100 millimetres) but it is more difficult than claiming for pothole damage. The most common type of damage is tyre related – damage to the inside shoulders (damage can’t be easily seen) can lead to blowouts on high speed roads. Other issues include suspension issues (broken springs, shock absorbers having to be replaced), damage to steering and vehicle sumps (can wreck engines and cause dangerous oil spillages). 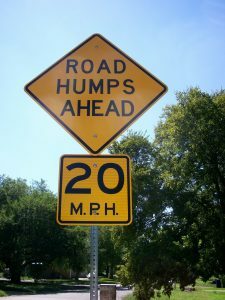 Since cars can be damaged by speed bumps, what can be done to avoid this? There are things that drivers can do too. Driving slowly over speed humps can avoid damage to your car. NB if you are driving regularly over speed cushions then you can increase wear on the inner should of your tyres. Get this checked out at your next service. Road humps (sleeping policeman) – used to stop vehicles from speeding up rather than trying to slow them down. Often found in residential areas but not suitable for bus routes! If your car has been damaged by a speed bump, call us on 020 8340 0656 and we will fix your car for you. Since relocating from Crouch End to Edmonton, we are getting used to the new sights and surroundings of Edmonton. If you were to bring your car up to N18 for a service or MOT then what are you likely to find around the Landmark Commercial Centre? Welcome to our guide to Edmonton! 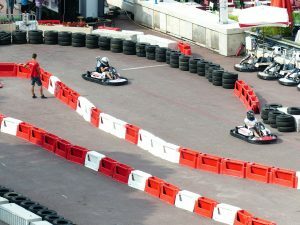 Now most importantly to motoring enthusiasts such as us at MEB the Motor Centre is TeamSport Go Karting North London. We love to spend our spare time racing each other on this multi-level 800m go kart track in North London. If you become a regular, take advantage of their #Grid membership club, giving you 10% off at all of their tracks, and loads of other perks. Just a 15 minute stroll away from our new site in Commercial Road is Pymmes Park. Originally a private estate, in 1589 Robert Cecil spent his honeymoon here. Edmonton Council acquired the estate and in 1906 it was opened as a public park. Sadly Pymmes House was destroyed in the Second World War by fire. If you are a fan of blue plaques then you can see one dedicated to John Keats, the poet at Keats Parade. The poet had been apprenticed to a surgeon in Church Street between 1811 & 1815, the house being knocked down in 1931 and Keats Parade erected on its site. The other blue plaque is in honour of writers Charles and Mary Lamb who lived in Bay Cottage (Lamb’s Cottage). John Gilpin is Edmonton’s literary hero. Read about him in William Cowper’s 1782 poem, “The Diverting History of John Gilpin” and how he never gets to spend his twentieth wedding anniversary at the Bell Inn in Fore Street. Although the pub is no longer there, the local Wetherspoons is named in honour, Gilpin’s Bell public house opposite the site of the original inn. Gilpin is also remembered in Edmonton in statue form at Fore Street and the 1950s council housing Gilpin House in Upper Fore Street. Did you know that Edmonton is split into Lower Edmonton (N9 confusingly the northern part of Edmonton) and Upper Edmonton (N18 the southern part!). The main Roman road from London to Lincoln and then onto York passes through Edmonton, Ermine Street. If you are finding lots of references to Edmonton in Canada then you might be interested to know that Sir James Winter Lake set up a trading outpost of the Hudson’s Bay Company there, naming it after his home town in England. Edmonton is now the capital of Alberta (Canadian province). So we now think you are culturally enriched enough to enjoy your time in Edmonton whilst you are waiting for your car to be serviced. Please do book yours soon on 020 8340 0656. I am taking this opportunity to personally thank you for your lovely comments it’s the end on an era for us. I have now moved to our body shop in Edmonton N18. Volante, has a small team of professionals located south eastern part of the London Borough of Enfield. While predominantly we have been specialising in Italian cars dating back to the 1970… with over 40 years in the UK motor trade, offering a first rate mechanical service for Fiat, Alfa Romeo, Lancia and Abarth brand. We can service any vehicle, to the highest standards, line with manufacturer recommended guidelines and ensure you vehicle is in peak performance. Furthermore we will be pleased to look after your vehicle with not only servicing but MOTs, and Body repairs. We are approximately thirty five minutes away from Crouch End on the W3 bus, however we are offering to pickup and delivery service for Crouch End customers for all services and MOT. Thanks to the programmes Peter Kay’s Car Share and Carpool Karaoke, the idea that more than one person can travel in a car at once has become more popular, and even fun! 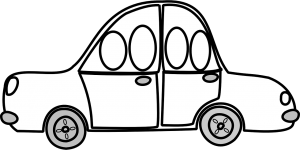 Carpooling or a car share is a simple concept: two or more people make a regular journey in a single car. It could be the same driver each time or they could take it in turns. Firstly you need to either find an existing carpool or set one up. Check with your business as they might have one set up or the facilities to connect commuters travelling the same way. If you are setting up a new car share then talk to your friends and neighbours about it, use community noticeboards to advertise and the power of social media. Investigate if there are any council or government incentives for choosing to carpool or indeed any apps that you can leverage. For more details on how to set up a car share programme, take a look at this great Wikihow article. It can save money – according to Liftshare, the average car-sharer saves around £1000 a year through journey-sharing. It’s good for employees – carpooling can attract and retain staff to businesses where there are poor transport links; health and wellbeing can be improved if staff aren’t worried about being late for work; staff can connect with one another improving employee engagement (which in turn reduces the number of sick days taken). Through the use of technology like-minded commuters are able to share their journeys with others. Gocarshare.com is all geared up to matching individuals with lifts to festivals and sports events. Their aim is to make car sharing fun. 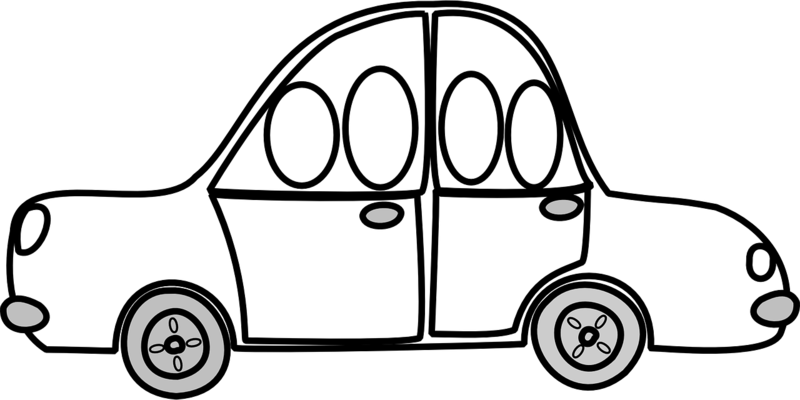 At MEB Motors we want to make sure your car is in peak condition if you are part of a carpool. Get in touch today about your next service 020 8340 0656. Following on from our article on the different types of fuel, we are exploring what happens if you use the wrong fuel in your car or misfuelling as it is otherwise known as. Misfuelling is when you put the wrong fuel in your car ie you fill up your petrol tank with diesel or vice versa. According to Start Rescue, approximately 150,000 motorists do this every year with catastrophic results. Luckily there are specialist companies out there trained to deal with these misfuelling incidents including Wrong Fuel Angel and Fuel Fixer. You can call these if your insurance policy doesn’t cover misfuelling or you have forgotten to renew your breakdown insurance with RAC or AA etc. What happens if you don’t realise you’ve put petrol in your diesel tank? 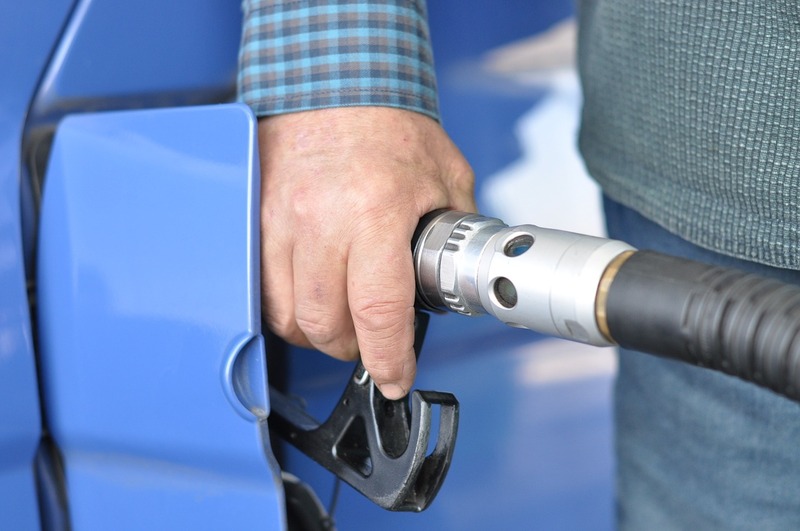 We’ve focussed on this scenario because you are more likely to put petrol in your diesel tank as the diesel nozzle is bigger than the petrol filler neck. After a while your car will come to a shuddering halt. This is because petrol acts as a solvent and prevents the lubricating action that diesel has on the fuel pump. It is like driving with engine without oil, it will create a high level of friction and tiny metal fragments will end up in your fuel injectors (ouch!). The petrol will have also entered the fuel lines, and as we said before the petrol acts as a solvent which can eat away at the seals. The petrol will need be flushed through with a cleaning agent and in a worst case scenario some parts may need replacing. The fuel filter and fuel injectors will also be damaged. As the tables turn on diesel cars and the need for zero-emission driving, there is more and more talk about electric and hybrid vehicles. 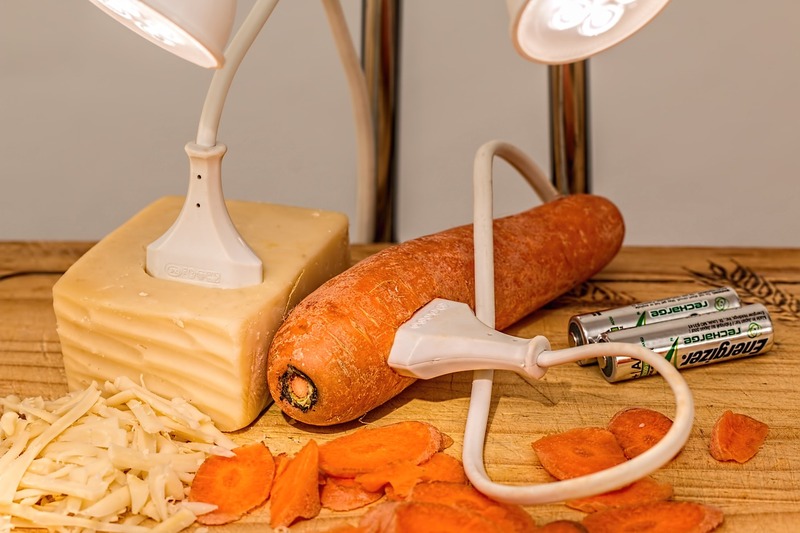 We explore the differences between these newer, cleaner energy choices. What will you invest in? In just under a year, Volvo will start producing electric (and hybrids) exclusively. You can read our previous article about this here. EVs are charged up and run on electric power. 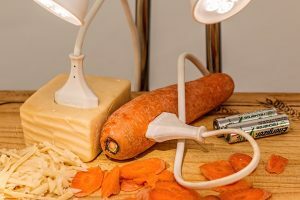 The electricity is stored in batteries which then powers the electric motor. There are of course faster chargers which can be found in carparks, service stations etc which are popular with EV drivers but an existing plug on your driveway or in your garage will still charge the batteries. Hybrids (like their name indicates) are a mixture of electric and petrol cars. They have a petrol engine but many electric components. The car is propelled forward by electricity stored in batteries and petrol stored in the tank. There are a number of different ways the hybrids work. Some use the petrol engine to charge the batteries, and in others the petrol motor drives the wheels directly with an additional battery adding electric drive. 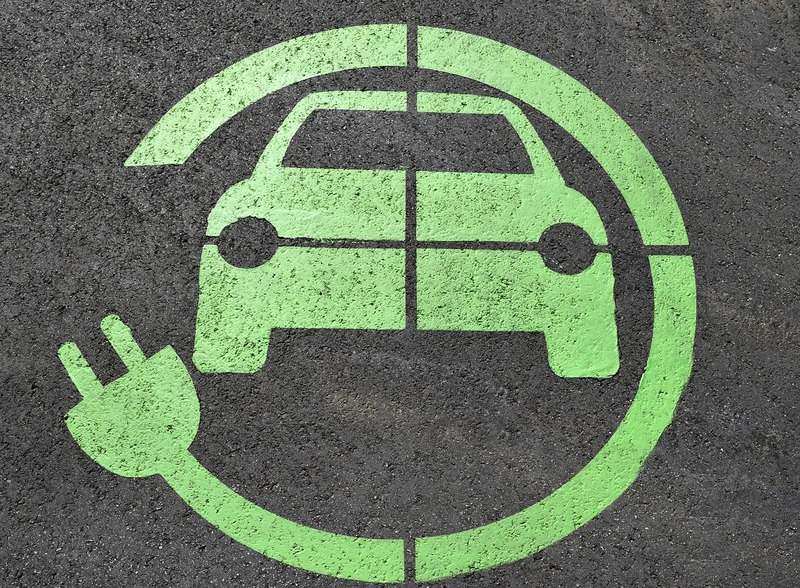 Plug-in Hybrids – These cars can be plugged in like EVs and will charge the car’s battery giving an electric-only range of 20 – 40 miles which reduces petrol consumption over longer journeys. It seems that the future is electric but for those of you wanting to ease yourself in slowly then a hybrid might be a good intermediate investment. It used to be that there were two choices of fuel for your car: petrol or diesel. However these days the options are expanding as the motoring industry explores different ways to power vehicles. Here’s a lowdown of the choices available. The standard unleaded petrol which most cars use is 95 RON. Sometimes known as “premium”, the 95 RON refers to the octane level of the petrol (how easily the fuel ignites in the engine). Super unleaded is the highest octane petrol available in the UK. It is often used by Porsche, Ferrari and high-performance Japanese cars. Some garages will sell their own branded high performance fuels boasting additional benefits to the high octane rating. There is usually only one choice of diesel available at the filling station (at the black pump). It should of course only be used for diesel vehicles! However there are a few garages now selling fuel manufacturers own brands of high performance fuels. They contain a higher cetane rating (diesel equivalent of octane) which ignites and burns more quickly and efficiently. Some also include additional lubrication and cleaning agents which can keep your engine clean and remove existing deposits. LPG is a “liquid gas” also known as butane, propane or autogas. It is the by-product of refining crude oil and processing natural gas liquids. It is seen a low carbon fuel. LPG costs around half the price of petrol. Find out more information about it on the RAC site. Not very commonly used, hydrogen has some huge advantages over the traditional car fuels. You can drive really far on a full tank of hydrogen (about 300 miles) but its fuel economy is about double of petrol vehicles. However it is good for the environment as the only emissions are water vapour and hydrogen is abundant (can be made from renewable energy). The problem is the lack of filling stations. According to Next Green Car, there are currently around six publicly available ones in the UK. Biodiesel and bioethanol are made from plant crops rather than oil. They can be used on their own or blended with regular diesel or petrol. UK fuel suppliers have been required to include some biofuel in the fuels that they sell (up to 5%). If you decide that you want to use a higher percentage of biofuel in your car then you need to look for specific biofuel products. However you must be aware that these aren’t currently supported by car manufacturers and they can invalidate the warranty if something were to happen to your vehicle. Whatever vehicle or fuel you use, we welcome you all in for a service or MOT at our garage in Edmonton! It seems that not a week goes by without a mention of a car scrappage scheme in the motoring press. If you are thinking of changing vehicles is it worth investigating a scheme for your old car? Car manufacturers are offering discounts on cleaner models, encouraging you to part ways with your less environmentally-friendly banger. Most of the cars traded in will need to be scrapped because they are higher-emission models and the idea is that if these are removed from the road then air quality will be improved. Since the Volkswagen diesel emissions scandal of 2015, car manufacturers and governments have been thinking of ways to reduce vehicle pollution. The UK government considered a scrappage scheme to get rid of the top polluters but settled on a diesel tax instead. However, in 2017 car manufacturers launched trade-in schemes for both petrol and diesel models, giving the traders discounts on buying cleaner new models. These schemes were supposed to last to the end of 2017 but have been extended into 2018 in a bid to revive the car sales market. You could receive up to £8,000 for your old car and therefore this eases the financial burden of trading up to a new model. How to pick the best manufacturers scheme in 2018? In 2017 no less than 26 car brands launched schemes with over half being extended until March 2018, six of which have been extended until June. 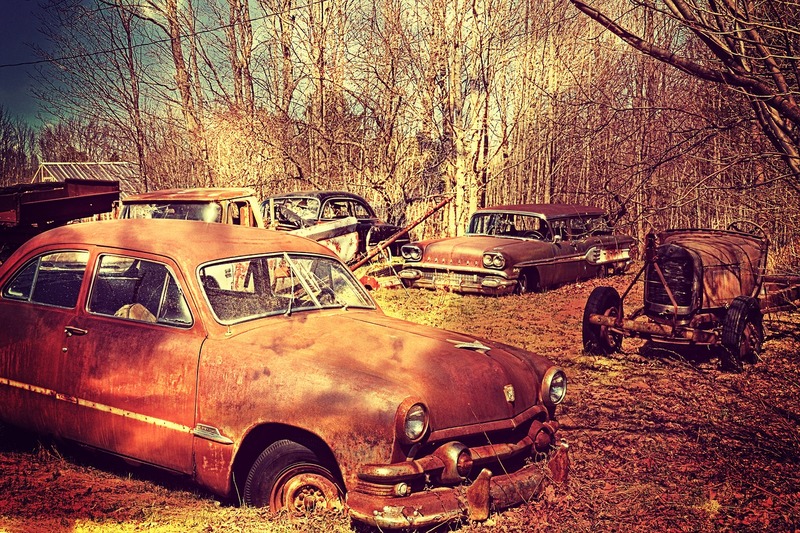 It could very well be that if the car market continues to be slow then many of the other car brands may well bring back old scrappage schemes (or introduce new ones) to try and boost sales. What you need to know is that different manufacturers have different rules on their schemes with different amounts offered as part of their trade-in deal. Some will give a fixed scrappage trade-in value for your old vehicle whereas others will give you a scrappage incentive plus either a trade-in payment or a deposit contribution discount on a PCP finance scheme. Shop around as you could save thousands by choosing the scheme that gives the highest price for your car. Some schemes don’t look like good value since you are losing your existing car but others give you extra discounts (compared to standard deals) which really goes to help afford your new car. For the most up-to-date information on current scrappage schemes take a look at this article on What Car which has listed ones which are running until 30th June 2018. Before entering into a dialogue with a car manufacturer, have an idea of what your current car is worth. Have it valued as you may end up getting £5,000 in a private sale versus a £3,000 discount to trade your car in and see it taken to the scrap heap. If you are a diesel owner then you will be aware that from May new MOT rules are coming into force which will automatically fail any diesel which has a faulty diesel particulate filter, or has one removed. A diesel particulate filter (DPF) works to remove the soot from the exhaust gas of a diesel engine – the dirty part of the emissions that causes damage to health. With this in mind, you may very well be seeking out a favourable scrappage scheme for your old car.